With the upheaval of the Stereo Society rebuilding, there isn’t much music going on at the moment. But there is plenty of action in the movie theater, drawing on one particular club. 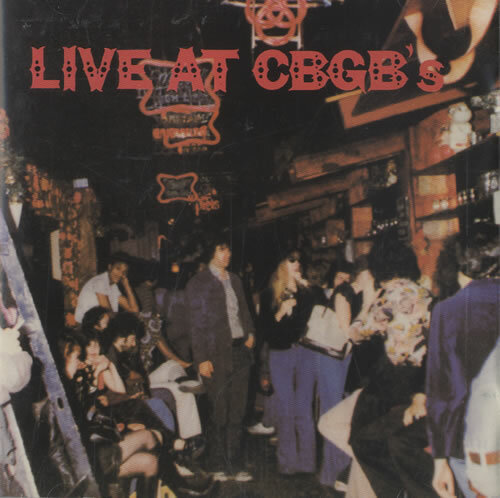 CBGB & OMFUG (Country, Bluegrass, Blues, & Other Music For Uplifting Gormandizers) closed in October 2006, having had an extraordinarily long life from its opening in December 1973. Its progress to being one of the most famous music clubs ever passed through several phases, starting as an eccentric space at 315 Bowery in New York City. At its closure, it was music establishment, and was even featured in the city’s short commercial pushing New York as the venue for the coming Olympics (didn’t get it). The singular Hilly Kristal, whose only ever CD was recorded with Thorne and is available on the Stereo Society, was in charge the whole time, before dying shortly after it closed (possibly the result of decades of second-hand smoke inhalation). 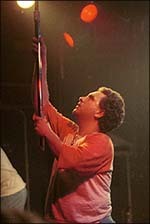 We interviewed him years back, when we released his songs. Now, we augment with two more people’s extensive observations on the time. BG Hacker was often the first person you’d meet on starting an evening at 315 Bowery, defining a pleasant but firm attitude on the way in. So many establishments overlook how much the mood to be had inside reflects the charcter of the people at the door. 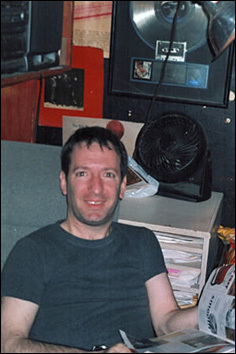 Cosmo Ohms (surely a case of nominative determinism) was the lighting manager at CBGB for most of its heydays. 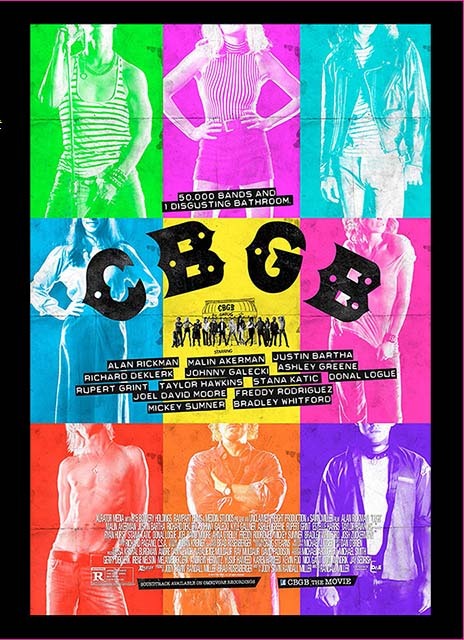 Like many at the club in the beginning, he made up the rules as he went along as CBGB developed to become a new music focus. Here, he tells of his own dramatic start in lighting, and reflects on the club during the classic period from the mid-seventies to the nineties. Over the next month, we will post several more interviews remembering the good old days. We’ll try to avoid sentimentality, maybe even managing to place the club in context in 2013. 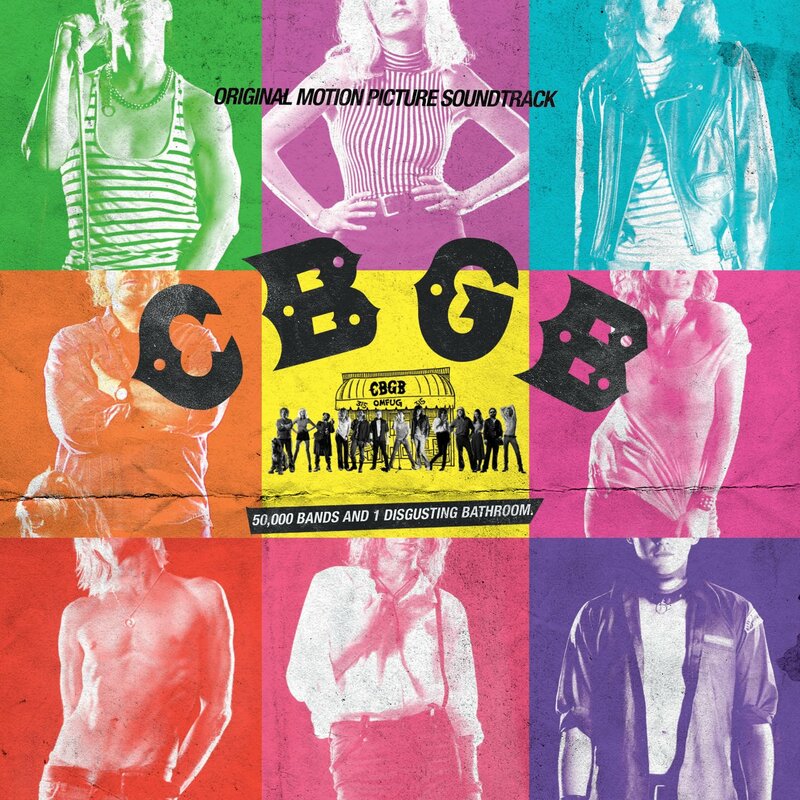 There will be a little downtown New York fuss tonight with the première of the new movie CBGB, at the Sunshine Theater on Houston Street. Alan Rickman plays the great man. We’re heard advance reports all over the map, since many people have fond and passionate memories of the establishment and therefore strong opinions about what the movie should be. From the beginning of production, the film-makers made it clear that this was not an historical presentation, more a story drawing on the past. There is a soundtrack, either CD or double album, of many artists associated with the club. Hilly’s Birds And The Bees, from his Mad Mordechai CD, plays out under the closing credits. And let’s not forget the original live album recorded with many eventual luminaries and released as a double album in 1976. If you wish to stop receiving these newsletters, please click on the 'unsubscribe' link below. To change your E mail address, please click on the 'update subscription preferences' link below.